This clinician reflective narrative is written as a supplementary article to the Physical Therapy Journal May Issue: NonPharmacological Management of Pain. Guest editors Arlene Greenspan, DrPH, MS, MPH and Stephen Z. George, PT, PhD. The following three clinical examples highlight the challenges that healthcare providers face in treating chronic pain—and offer a few lessons for our development as clinicians in caring for patients with pain. My first evaluation as a licensed physical therapist was with a woman who was in a traumatic motor vehicle accident. Both of her children were in the car. The other driver ran a red light, clipping the patient’s car. She and her children suffered no immediate injuries. The next day the patient noticed pains in her chest and abdomen that would jump from one place to another without a specific pattern. Her legs started to hurt as well, with pain jumping from leg to leg; she was afraid she damaged something in the car accident without realizing it. She went to the Emergency Department at her local hospital; radiographs taken there showed no evidence of injury or disease. At first, I asked her to trust that even though we don’t know exactly what is wrong, it’s important to remain active. Her pain persisted, and she became more confused about it. Still, she gradually returned to her normal activities, and within three months she reported occasional pain, but that her symptoms no longer interfered with her daily life. I regret having fed her fear that we had no idea about what was causing her pain, which implied that we didn’t know what would alleviate it. After thinking that the Emergency Department performed a cursory evaluation, I tried to find a clearer answer despite feeling that the symptoms didn’t fit any common pathoanatomical diagnoses. In hindsight, I believe that a more effective evaluation would have investigated her fear of activities, her ability to cope with pain, and her goals. I was so focused on identifying a physical diagnosis that I didn’t allow time for education or an exploration of the barriers she faced to improving her quality of life. As I interviewed my new patient, she was adamant that her pain was caused by a pinched nerve. She had significantly limited her mobility and all spine movements for fear of making her pain worse. After reviewing her medical record, examining the patient, and discussing the case with the patient’s referring provider, I found no physical or radiographic evidence of neurological compromise. I concluded that I needed to help change her perception of her symptoms and experience; otherwise, we would not get anywhere. I delved into what I thought was an effective explanation of her pain based on pain neuroscience. As I started to discuss the difference between tissue pathology and pain, common findings on imaging, and the reassuring results of her physical exam, the patient’s body language demonstrated that she was not interested in my explanation. I attempted to elicit her thoughts regarding the education and her pain experience, but she no longer wanted to talk or participate in physical therapy. She told me that she felt I was missing something and because of this, working with me would do more harm than good. From that moment forward, I was unable to regain trust with the patient and she did not return to the clinic. In this case, when determining what intervention to provide, I automatically assumed what was best for my patient rather than involve her in the decision-making process. By not involving her in this process, my realization that she was not interested in discussing pain physiology came too late. This led to a lack of trust and a poor therapeutic alliance. I learned some crucial lessons with this interaction: a foundation of trust is essential and it is important to tailor interventions to an individual’s readiness for change. If I had fostered a collaborative environment with shared decision-making, it may have led to the development of a positive therapeutic alliance, which could have facilitated behavioral change. A thorough chart review of my patient revealed multiple surgeries, comorbidities including anxiety and depression, and extensive pain management interventions. I envisioned an individual with central sensitization, an amplification of neural signaling within the central nervous system that elicits pain hypersensitivity.11 I speculated that he had received a biomedical explanation for his pain and was searching for answers to “fix it.” Consequently, I knew that I would need to focus my treatment on pain education and the role of the nervous system in persistent pain. The patient’s subjective and objective assessment confirmed my suspicions of central sensitization. The error that I made in this case was jumping to conclusions too quickly, providing too narrow of an explanation for this patient’s pain, and failing to acknowledge the patient’s underlying concerns about osteoarthritis. This led to decreased trust and buy-in from the patient. In my explanation of his pain I should have acknowledged his osteoarthritis, explained how it can cause nociceptive pain, but also how it related to his current central sensitization symptoms in order to give him a more thorough and personal explanation of his pain. This case reminded me of the importance of understanding the patient’s perspective and acknowledging it to lead to improved therapeutic alliance and a more successful outcome for the patient. These patient stories reflect the complexity of pain and some pitfalls in clinical decision-making. Persistent pain is a condition with many potential contributing factors; its multifaceted nature can intimidate individuals experiencing it as well as their healthcare providers.12 Providers across multiple disciplines express concern about patients’ motivation, attention-seeking behavior, and the existence of actual pain.4-5,13 However, it is important to consider that these individuals are just like all patients we see. They have limitations in their daily lives and our job is to help them achieve their goals. While all individuals have a combination of biological, psychological, and social factors impacting their pain experience, the extent to which each of these factors plays a role is unique to each person.14 For some, the biological factors will play a larger role; for others, the psychological factors will dominate. Physical therapists are often viewed as healthcare providers who address biological factors, but we are in an excellent position to address certain psychosocial factors as well.14-15 Lack of familiarity can lead to discomfort when addressing psychosocial factors, but we can use our skills to identify modifiable impairments, and through shared decision-making, we can develop a plan of care to improve overall health and quality of life. Despite the complexity, we can make a significant impact in the lives of individuals with persistent pain. As Joshua J. Marine writes, “Challenges are what make life interesting and overcoming them is what makes life meaningful.”16 Marine’s words illustrate for us why we value working with individuals who have persistent pain, despite the challenges along the way. Gaskin D, Richard P. The Economic Costs of Pain in the United States. J Pain. 2012;13(8):715-724. doi:10.1016/j.jpain.2012.03.009. Sluka K. Mechanisms and Management of Pain for the Physical Therapist. Philadelphia, PA: Wolters Kluwer Health; 2016. FY 2018 Budget in Brief – CMS – Medicare. HHSgov. 2018. Available at: https://www.hhs.gov/about/budget/fy2018/budget-in-brief/cms/medicare/index.html. Accessed April 24, 2018. Chen J, Fagan M, Diaz J, Reinert S. Is treating chronic pain torture? Internal medicine residents’ experience with patients with chronic nonmalignant pain. Teach Learn Med. 2007;19(2):101-105. doi:10.1080/10401330701332144. Synnott A, O’Keeffe M, Bunzli S, Dankaerts W, O’Sullivan P, O’Sullivan K. Physiotherapists may stigmatise or feel unprepared to treat people with low back pain and psychosocial factors that influence recovery: a systematic review. J Physiother. 2015;61(2):68-76. doi:10.1016/j.jphys.2015.02.016. Foster N, Anema J, Cherkin D, et al. Prevention and treatment of low back pain: evidence, challenges, and promising directions. Lancet. 2018. doi:10.1016/s0140-6736(18)30489-6. Delitto A, George S, Van Dillen L et al. Low Back Pain. J Orthop Sports Phys Ther. 2012;42(4):A1-A57. doi:10.2519/jospt.2012.42.4.a1. Cohen M, Quintner J, Buchanan D, Nielsen M, Guy L. Stigmatization of patients with chronic pain: the extinction of empathy. Pain Med. 2011;12(11):1637-1643. doi:10.1111/j.1526-4637.2011.01264.x. Diener I, Kargela M, Louw A. Listening is therapy: patient interviewing from a pain science perspective. Physiother Theory Pract. 2016;32(5):356-367. doi:10.1080/09593985.2016.1194648. Borrell-Carrio F. The Biopsychosocial Model 25 Years Later: Principles, Practice, and Scientific Inquiry. Ann Fam Med. 2004;2(6):576-582. doi:10.1370/afm.245. Woolf CJ. Central sensitization: implications for the diagnosis and treatment of pain. 2011;152 (3 Suppl):S2-15. Doi: 10.1016/j.pain.2010.09.030. Chimenti R, Frey-Law L, Sluka K. A mechanism-based approach to physical therapist management of pain. Phys Ther. 2018;98(5):302-314. doi:10.1093/ptj/pzy030. Becker W, Dorflinger L, Edmond S, Islam L, Heapy A, Fraenkel L. Barriers and facilitators to use of non-pharmacological treatments in chronic pain. BMC Fam Pract. 2017;18(1). doi:10.1186/s12875-017-0608-2. O’Sullivan P, Caneiro J, O’Keeffe M, et al. Cognitive functional therapy: an integrated behavioral approach for the targeted management of disabling low back pain. Phys Ther. 2018;98(5):408-423. doi:10.1093/ptj/pzy022. Keefe F, Main C, George S. Advancing psychologically informed practice for patients with persistent musculoskeletal pain: promise, pitfalls, and solutions. Phys Ther. 2018;98(5):398-407. doi:10.1093/ptj/pzy024. Joshua J. Marine Archives – Positively Positive. Positive Quotes. 2018. Available at: http://www.positivelypositive.com/quote-author/joshua-j-marine/. Accessed April 25, 2018. Marissa Carvalho, PT, DPT is a practicing physical therapist in the Duke University Health System. She practices at the Duke Pain Medicine clinic where she primarily works with patients who have persistent pain. Marissa graduated from the Duke Doctor of Physical Therapy program in 2012 and is board certified in Orthopaedic Physical Therapy. She received her Therapeutic Pain Specialist certification through the International Spine and Pain Institute in 2016 and completed the Duke University Health System Orthopaedic Manual Physical Therapy Fellowship in 2018. Marissa is also currently completing a pain coping skills certification program based on cognitive-behavioral theory. While at Duke, Marissa has been involved as a course assistant in the Duke DPT program, has participated in research, and has given several talks at the state and national level. Morven Ross, PT, DPT, OCS, FAAOMPT, is a physical therapist at Duke University and is board certified in Orthopedic Physical Therapy and a Fellow in the American Academy of Orthopedic Manual Physical Therapists. Morven graduated in 2014 from the Doctor of Physical Therapy Program at University of North Carolina-Chapel Hill. She completed an orthopedic residency program in 2015 and a fellowship program in Orthopedic Manual Physical Therapy in 2017 all at Duke University. 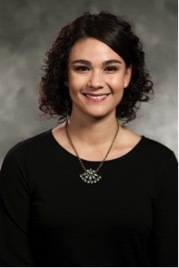 Morven is currently the Program Practice Leader of the Duke Joint Health Program (JHP), a program that provides comprehensive conservative management for individuals with hip and knee osteoarthritis utilizing a biopsychosocial approach. Persistent pain conditions are a result of a complex interplay between the physical, cognitive, socioeconomic and emotional factors that are unique to each individual. Consequently, we believe that is essential to treat individuals with persistent pain using a humanistic approach to not only understand an individual’s condition, but to help them achieve their personal goals. Utilizing a humanistic approach to rehabilitation can take your impact beyond the surface level and allow you to help individuals make positive changes that can last a lifetime. 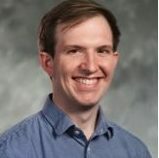 Zach Stearns, PT, DPT, is an outpatient physical therapist practicing in Duke University Health System. He earned his Doctor of Physical Therapy in 2017 from the University of Florida. He primarily treats patients with persistent spinal pain and osteoarthritis. His previous career experience includes working in psychiatric hospitals and clinical psychology laboratories. Zach is passionate about applying psychological skills and principles to physical therapy practice, and he is currently completing a pain coping skills certification program based on cognitive-behavioral theory.